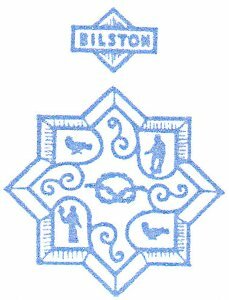 The Bilston Club was formed in 1943 but owing to war restrictions no metal was available to make a badge. Two members gave silver soup ladles and spoons. The badge was created at the Bilston College of Art. The Staffordshire Knot is to unite. Bilston stood by its faith and industry portrayed by a man and woman holding a lamp. Two martlets and swifts complete the design. Meetings are held on the first Tuesday and the third Thursday in the month. Tuesday meetings at Swanmore Community Centre, Wolverhampton are devoted to Soroptimist business with a strong emphasis on Programme Action. The other meeting is a Dinner meeting with a speaker held at Linden House, Tettenhall Road Wolverhampton, WV6 0DD starting at 7.30pm.